SAPHIR is currently accepting applications for 2019-20! See information and call for applications below or visit their website for more directions on how to apply. 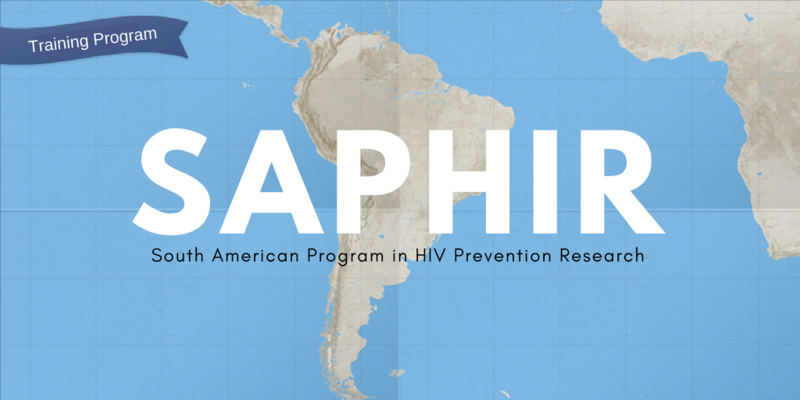 We are excited to announce the call for applications for the South American Program in HIV Prevention Research (SAPHIR) 2019-20 Fellowship class. SAPHIR is an NIH-funded, year-long training program in comprehensive HIV prevention research for Pre-Doctoral (MSIII) and Post-Doctoral (MD-level) physician trainees from U.S. institutions. All Fellows participate in a structured program of didactic education and practical research in one of the major fields of HIV prevention (Behavioral Prevention, Biomedical Prevention, Antiretroviral Therapy, Epidemiology, or Basic/Translational Science). Each SAPHIR Fellow is matched with a pair of mentors from UCLA and one of our collaborating international sites in Peru, Brazil, and Colombia. After a 2-week introductory program in Los Angeles, SAPHIR trainees spend the majority of the year at their foreign site where they work with their mentors in an individualized training program centered on the design and analysis of an independent study in their specific area of prevention research. In addition to mentored research projects, the program also includes a weekly educational series to provide didactic training in key areas of international research including Ethical Research Conduct, Epidemiology, Biostatistics, and Social, Behavioral, and Biomedical Aspects of HIV Prevention Research. All Fellows are provided with a stipend and round-trip transportation to the UCLA campus and to their international site. Applications will be accepted on a rolling basis, with a priority deadline of January 25, 2019. For more information, please visit www.uclasaphir.com or write to us at SAPHIR@mednet.ucla.edu. The SAPHIR program is supported by the NIH/NIMH Grant Number R25 MH087222 (PI: J Clark).